We have compiled a list of the most important SEO recommendations in order to sum up the major points of this e-book and to gather the most important aspects you should have in mind when working on improving the positioning of your website. If you want to play a game, you have to follow the rules. The same goes for search engine optimization. If you want to optimize your website for search engines, you need to follow the rules those search engines have in order to comply with the guidelines that enable search engines to work properly. Over the past years, during which search engines have been introduced and have evolved, people always wanted to get quick results. 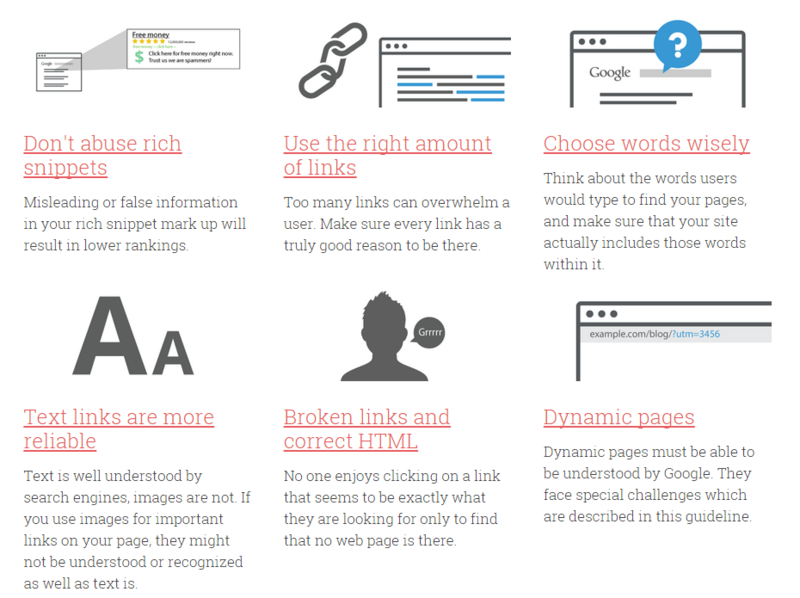 In order to do so, many webmasters used suspicious techniques that were created to trick search engines into positioning a website high. These are usually called black hat SEO techniques. Search engines were serious about providing quality results, which is why they have come up with ways to detect techniques that are not allowed, and they even introduced punishments (also called penalizations) for those websites. This is why you need to follow the guidelines and recommendations provided by search engines, so that you avoid any problems. Search engines advise you how to optimize your website through the guidelines, so these are the only actions that can truly help you improve the performance of your website. Search engine optimization is a process that is aimed at understanding how search engines work in order to be able to adapt your website so that search engines can easily find it. Therefore, it is necessary to understand the process of indexing websites, how search engines see the websites, and how they index content of the websites. Despite the fact that a page might look very nice on your website, and it is engaging for the users, if it is not optimized for the search engines, chances are search engines will not be able to see that page, which is why they will not show it in the search result. In this case, you might lose a lot of organic traffic, traffic that you would receive naturally when users type the term that is related to that page. When creating content on the website, you should always think about search engines, and whether they will be able to understand the content structure of your website. This applies to each part of your website, including the home page, menus, articles, blog, etc. Even though search engines optimization is in fact optimization of different website elements in order to affect the way search engines see your website, while working on SEO you have to consider the website visitors as well. Have in mind that search engines will index your content if it follows the guidelines enabling them to understand it, but the website visitors will not always read your content even though they can see it. Search engines are concerned with the technical aspect of the content, while readers need something to attract their attention. Visual aspects can be very helpful, such as highlighting certain parts of the text, usually the main ideas and catchy phrases, images and other graphics that can illustrate the points related to the text, etc. Think about what the visitors will think about the article when they first see it. Will it be interesting enough for them to read it? Apart from the visual representation of the content, you should also think about the topics of the article, as this also affects whether the visitors will read the content or not. The topic should be original, engaging and related to the content of your website. This way your provide quality, useful information and assistance to the visitors who are interested in that topic. Focusing on the topics related to your website allows you to target the visitors who are your potential customers, which maximizes the effect of your internet marketing strategy. Search engine optimization is a part of online marketing which is fast-changing area. Development of technology allows quick introduction of new practices, which can significantly affect the way you should approach online marketing. The first aspect that affects such rapid changes is the number of websites, which is growing every day. Each day new websites are being launched, while some are being shut down, and this affects the situation on the online market, as each of them is competing for some keywords. This can change the situation for better or for worse for your website, but you need to be aware of those changes in order to be able to adapt and alter your strategy if necessary. Secondly, new tools and applications are being introduced constantly, and this is something you should keep up with, as some of those tools or applications can be of great assistance in conducting SEO strategy. Regardless if those are optimization tools, analytics tools or new plug-ins, if you are up to date with the newest inventions, you will be able to make the most out of those in order to improve your business. Finally, companies behind search engines are aware of this fast-changing environment, which is why they are constantly working on improving search engine algorithms, enabling them to do even better job when indexing and ranking websites. Their goal is to provide the best user experience, so they need to be able to highlight only the best of the websites, while suppressing low-quality websites. Changes in the algorithms are frequently followed by adaptations in search engines recommendations, which is something you should have in mind, as the practices you are applying currently might be outdated, and thus not effective at all. Optimization of the website is a constant process. Sometimes you will need more time and effort to conduct the strategy, while occasionally you will not have to do anything but monitor the performance. However, you should try to stay up to date with the world of SEO, as this is the way to find out about innovations that might help you with your work, or help you find out if there is something you are doing wrong, if there is something that might harm your website’s positioning. You should follow blogs related to the topic of SEO, and you can even follow influential SEO professionals on social media. Here are some general recommendations on what to do, and what not do in order to make sure that your website is following Google’s guidelines. 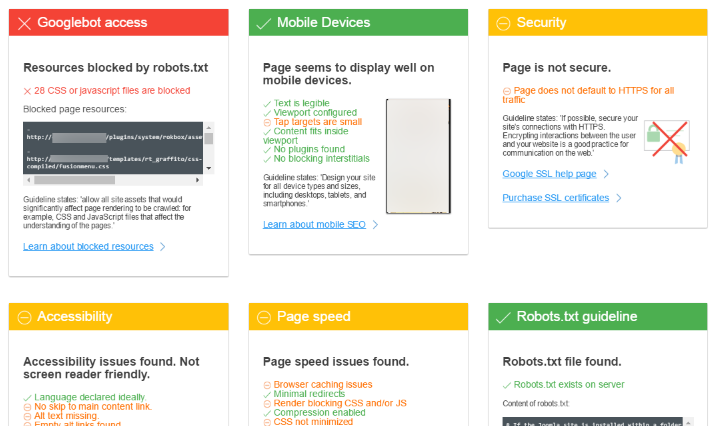 The following image illustrates some of the things you should do if you want to improve your SEO strategy. 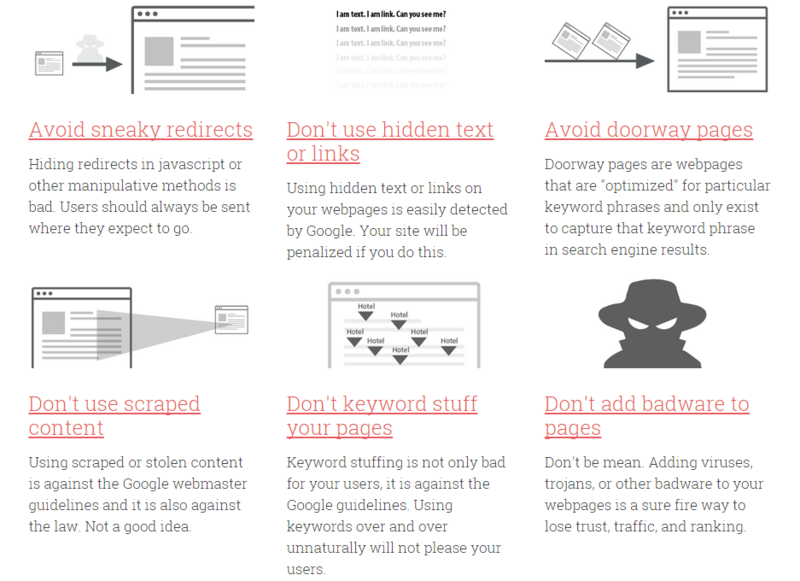 Here are some of the things you should not do if you want to achieve better ranking in the search engine result pages. 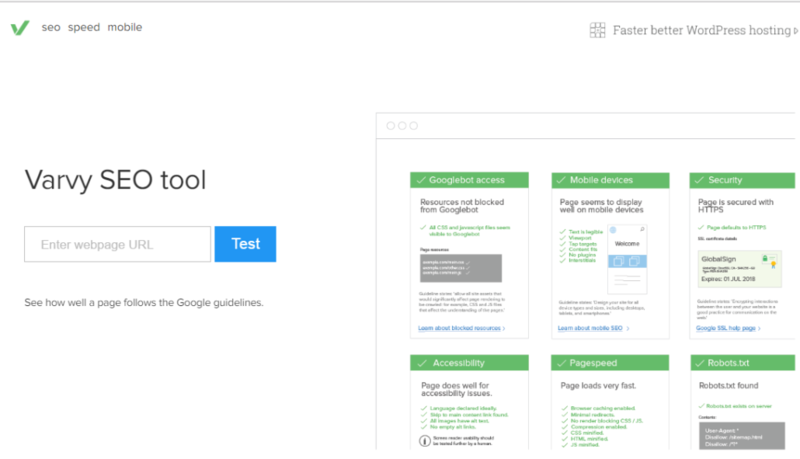 The following online tools can help you with discovering if your website is following guidelines, as well as which aspects of your website you need to fix in order to improve the positioning. 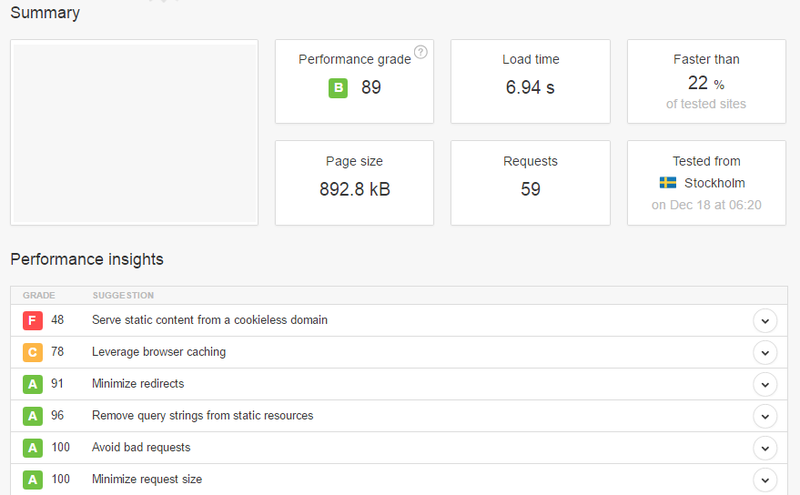 You should simply enter the URL you want to test, and the tool will generate an overview report of your website’s performance. 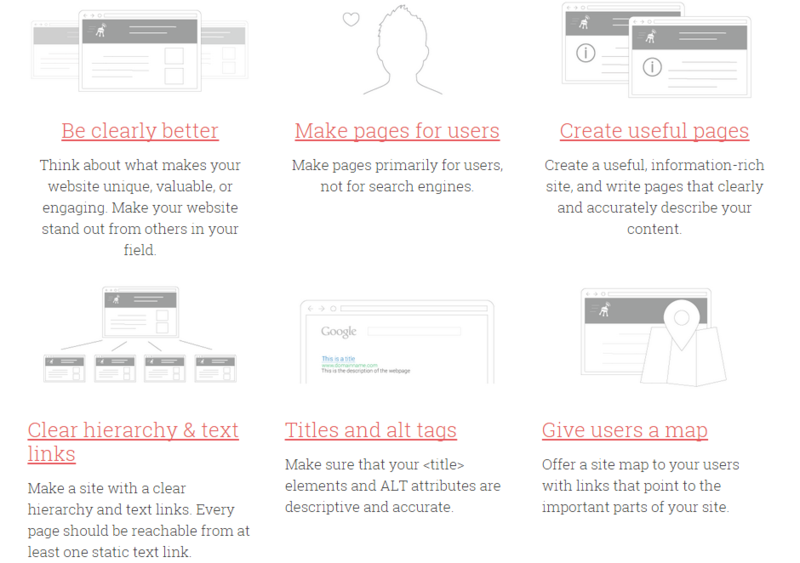 Use this tool to test the website speed by providing the URL of the page. While this tool is mostly focused on website speed, one of the metrics, which affects website ranking, it also provides helpful details for page analysis.